We are living in the End of Times. We are hearing everyday, about violence, terrorism, bombs, deaths,killing and so on, some of them are done in the name of Allah and in the Name of Islam. Which is absolute deception and hijacking a religion that calls to peace, tolerance and to live for the Hereafter. So Islam is blamed everywhere for the actions of this a few criminals plain crime according to the Book of Allah and tradition of the Prophet of Mercy- Muhammad alaihiswalathu wa salam). This article explains, the disgusting reality of terrorism and how the Salafi-Wahabi movement laid down a platform for this kind of groups to spread everywhere, by providing ideology and shelter!. Quran 5:32 We decreed upon the Children of Israel that whoever kills a soul unless for a soul or for corruption [done] in the land – it is as if he had slain mankind entirely. And whoever saves one – it is as if he had saved mankind entirely. And our messengers had certainly come to them with clear proofs. Then indeed many of them, [even] after that, throughout the land, were transgressors. From the Book: Sunan An-Nasa’i , Chapter: The Book of Faith and it’s branches. Hadith Number 4998. Quran 3:104 Let there be a community of you who invite to what is good, advocate righteousness, and forbid evil. These are the winners. 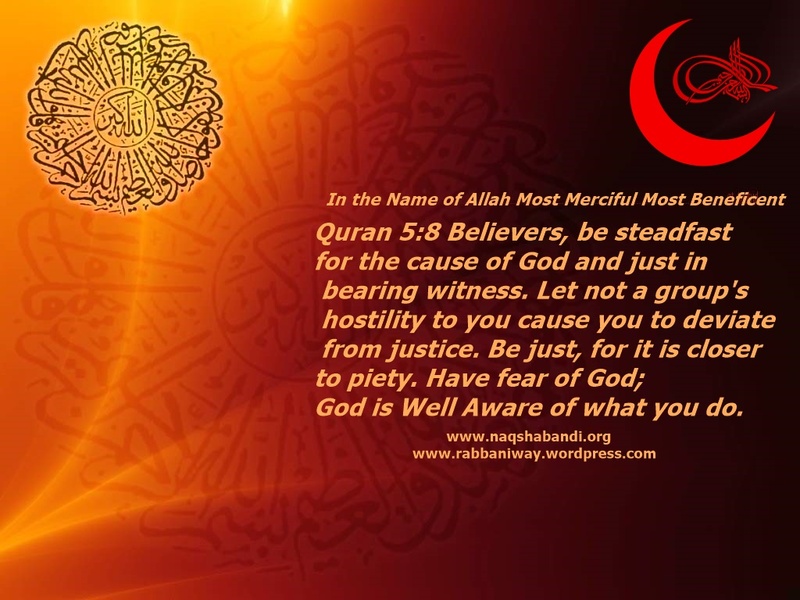 Islam commands Muslims to do Jihad in the cause of Islam (Submission). Which include, participating in the legitimate military of the country he lives against foreign aggression or to keep peace and stability with in the country, Jihad also include striving to support the old age/sick parents by caring for them. Seeking knowledge and and travelling for it is also a Jihaad in the way of Allah. Such (good) deeds and the strive to establish good is “Striving in the cause of Allah”. Jihad against one’s own evil nature is called “Jihaad Al-Akbar” (Greatest Jihad). This is to seek methods and strive to defeat bad characters and manners in a person and purify his heart and mind from all impurities. So we can see that Jihaad is constructive and aimed for the harmony and betterment of the individual and society!. Quran says: Chapter 2:8 And of the people are some who say, “We believe in Allah and the Last Day,” but they are not believers. Comments: Prophet of Islam (peace and Blessings of Allah be upon him) says that many people will be calling themselves as Muslims, but will follow deviated counterfeit paths! Quran 2:9 They [think to] deceive Allah and those who believe, but they deceive not except themselves and perceive [it] not. Quran 2:10 In their hearts is disease, so Allah has increased their disease; and for them is a painful punishment because they [habitually] used to lie. See Quran 91:9-10 He has succeeded who purifies it,And he fails that corrupts it! Quran, in the next verse declares ,they are corrupters! Quran 2:12 Unquestionably, it is they who are the corrupters, but they perceive [it] not. Comments: Prophet Muhammad (Peace and Blessings of Allah be upon him) spoken about that false reformers, 1400 years ago! They attack and kill Muslims and non-Muslims alike!. They label Muslims as “Muhsriks (Polytheists) and grave worshippers etc, because Muslims respect and revere Prophets and pious Muslims of the past generations and preserve their tombs and shrines, as it is done by the Main body and it’s leader, the Last Was Ottoman Empire Caliphate . If someone takes arms against Muslims, then they are not of Muslims! So, I ask anti-Islam bigots (those who think Islam is responsible for terrorism), how can those who attack and kill Muslims, and destroy Mosques and Shrines be true Muslims??? and represent entire Muslims? This Hadith points to Ottoman Way as the Main body and it’s leaders (rulers/scholars and so on) and what came after Ottoman (the Longest ruling Muslim caliphate lasted until 1925) is different sects and groups in the Muslim world, who falsely claim to represent Islam! Prophet (alaihiswalathu wa salam)’s warning! From Abdullah Ibn Omar (radiya allahu anhuma) he said: The messenger of Allah صلى الله عليه وسلم said, I saw a pillar of the book was taken from underneath my pillow and I looked and it was an extending light directed toward Al-shaam. Verily al-iman (the faith), at the time of fitan (turmoil) is in Al-shaam. (Note for Salafis:Al-Albani says it is an authentic hadith. East of Madinah is Najd where Riyadh and other major cities like Doha (Qatar) located, people ,especially Arab nations taking scholarship and leadership of Arabia and Arabs from the East of Arabia (Najd). In this days we do not see any Arab youth or those who follow the ways of Najdis bringing Yemeni or Syrian sunni scholars who from the well known lineage and chain of prominent Sunni scholars . Because these Arabs are in afflictions as Prophet Muhammad alaihiswalathu wa salam foretold us. And those who people who follow this Arabs from Najd and their scholars, they are totally against traditional Sunni Scholars of Yemen and Syria. This is how corruption (Fitnah) spread entire Muslim world, despite clear instruction from the Prophet alaihiswalathu wa salam. So understand why “Jamath Najdiyya” is working as “Jamath Salafiyya“, taking the title of pious generation (Salaf) whom whole Muslims revere and portray as “Salafi Way”to deceive people! So who is a believer and who is an unbeliever?. It is time for intelligent ones to think about! Let those who have eye see and those who have ears hear, no corruptions spread in the whole world a global scale with global impact, from Najd, except salafi wahabi ideology and it’s menace is causing various cancers and wounds in both Muslim and non-Muslim world! This days everything is counterfeit , if you go Market, you can go to branded shop and buy an original Nike shoe for £100, or you can go to street footpath seller get a counterfeit Nike Shoe for 10 pound and it can be worn out in a few weeks or months. But you don’t blame Nike Company for your cheap counterfeit brand. You don’t say: “see Nike Shoe is very bad quality, I bought one from the roadside seller and it worn out very quickly!” When you are a bigot and/or not using enough intelligence, or when you hate Nike Company, because the shop who sold Shoes did not give you a fair discount on purchase, and you preferred other brand, you are certainly going to blame Nike. And all you who had a problem with counterfeit Nike Shoe coming together to blame and spread hatred against Nike Shoe!. But you are not willing to meet up with people who are using the original Nike Brand, nor giving a try to buy and use it and see the difference. Finally, accept Islam and it’s call, completely! Quran 2:208 O you who have believed, enter into Islam completely [and perfectly] and do not follow the footsteps of Satan. Indeed, he is to you a clear enemy. Quran 2:85 Then do you believe in a part of the Scripture and reject the rest? Then what is the recompense of those who do so among you, except disgrace in the life of this world, and on the Day of Resurrection they shall be consigned to the most grievous torment. And Allah is not unaware of what you do. 3- Afflictions rise from Najd (East of Arabia) as ideological and political doctrine! 5- Muslims should isolate from all new sects and groups. 6- Faith in Sham and Yemen and hypocrisy and misguidance is from Najd! 7-Muslims must follow Quran and the Pious Ahlul Bayt as only way of continuing guidance till the end of Times. 8- Murderers of Muslims will go to Hell. Terrorists murder Muslims and destroy Mosques. 9- Salafism/Wahabism ideologies did contribute to spreading of terrorism, as it’s (Salafism) origin is from Najd, and from Arabs and it was foretold by the Messenger of Allah (alaihiswalathu wa salam) as the place of afflictions!. 10- Non-Muslims should be aware of this sectarian differences in Islam and Muslims should seek and follow the right course of Islam, not falsely framed Najdi religion , framed as way of salaf! I wonder, how those who claim they are smart and intelligent get fooled by this type of false movements and ideologies! I welcome constructive talks and debates from those who claim, they following Salaf and Islam! If you have realised this trap you fell into, then repent and renew your faith and follow the way of the Main body and it’s leaders! Read this article carefully and completely and read rest of the article from https://rabbaniway.wordpress.com/ before making unnecessary comments or fooling replies! Previous PostThe Way of Ahlul Bayt-Straight PathNext PostWhat is your problem with Shia doctrines?